What is Sublime’s Teaching for Artistic Innovation about? Sublime’s Teaching for Artistic Innovation is an initiative by Sublime to enhance the teaching capabilities of the art teachers and take art education not just to the shortlisted few( through Berserk) but to all the children of a school. It is an initiative to enable the art education in a school through the medium of value addition and effectively enhance the creative capabilities of a child. Why should your school participate in Sublime’s TFAI program? According to the economists of the country, by the year 2020, 65% of India will be under the age of 35 years and 50% of India will be under the age of 25 years. The average age of Japan will be 47 years, China is around 40 years, Europe is 46 years, United States is 40 years while the average age in India will be 29 years- The youngest population. International labour organization has worked out that 116 million people in the workable age group of 20 to 24 years will be required in the coming decade. China will have only 94 million and US will be 17million people short at what they will need at working age. In order to equip and take advantage of this economic reform and showcase innovation and brilliance across fields Sublime believes that the conventional education need to be supported with the creative education as a fully embodied physical experience is what that triggers the imagination. According to Ken Robinson, “Creativity is a dynamic process of having original ideas that have value more often than not comes with the interaction of different disciplinary ways of seeing things. 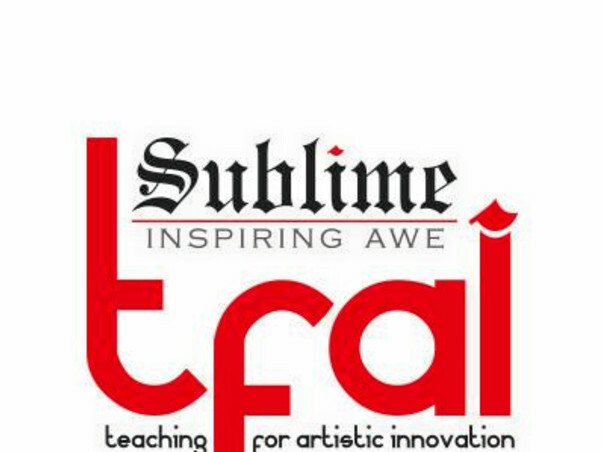 “, Sublime’s TFAI program is designed to enable the teachers with the know-how who in turn will enable their school to equip their students to strive and hone whatever makes them unique as an independent unit. Who will be conducting the program? Based on our research there will be two aspects to the TFAI program. Art and the Humanities. Arts and humanities go hand in hand in terms of identifying the uniqueness of a talent and encouraging expression. 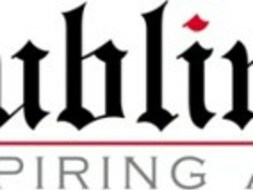 Sublime will compile a panel of experts under the categories of theatre, dance, music, visual art, art pedagogy and humanities who in turn will spearhead the program under respective verticals. How will Sublime’s TFAI conduct this program? How should the school nominate a participant? What is the eligibility criteria of the participants? How much is this going to cost the school? What are the resources that the school should allocate? The pilot conference of Sublime’s TFAI program is being offered on invite only to schools associated with Sublime over the two years and a total of 15 schools will be participating on a first come first serve basis. As the pilot conference is on invite basis no remuneration will be charged however a nominal fee will be charged for programs held after that. The Program will be customized to accommodate resources available in each school. Implications of the program on Berserk 2016? Berserk, apart from the residential conference, will now become a property that recognizes initiatives taken by schools and cultural academies. The recognition will be in the form of awards, cash prizes and scholarships to outstanding students to enable national or international exposure and learning under expert guidance. The pilot conference will be held in July 2015. Venue and finalized will be finalized by June 2015. How should you enroll for Sublime’s TFAI program? The schools can reach out to us on +919900238847 or write to us at berserk@sublimegalleria.com. The first conference however is by invite only. Sublime Media House, Sublime House of Tea, and Sublime’s Teaching for Artistic Innovation. Sublime Galleria - India’s first Sky Gallery in UB City was started in 2010. It is dedicated to the support and promotion of fine arts and performing arts. To this end, it regularly organizes exclusive art pageants featuring the work of both young and upcoming artists as well as renowned masters of art. These shows and exhibitions are well attended by art connoisseurs and buyers from across India and offer budding artists a much-needed platform to showcase their talent. The Gallery is also extensively involved in commissioning for high-end hotels, hospitals, offices and residences private and independent collectors, exhibitions and auctions. Sublime Media House was originally started to help manage the diverse and voluminous advertising needs of the Prestige Group. They have since then extended their expertise to include clients from across the country. Services include managing the communication objectives of clients through media planning, buying and implementation of different ATL (Print, Radio, TV, Digital, Hoardings etc.) activities as well as BTL (Handling On-Ground activities, exhibitions etc.) activities. Galleria is an exclusive line of premier tea that has been credited with introducing certain flavours to the Indian market that were hitherto unavailable here. It includes exotic brews like Seventh Heaven, Wellness Brew and Green Long Ding, which are extremely sought-after in several places across the globe.